“The Power of Women Who Do”…that’s the motto of Hadassah and I am so very honored and proud to be a guest speaker at their Westchester, New York Mah Jongg event on Friday, September 9th – I hope you will be able to join me! 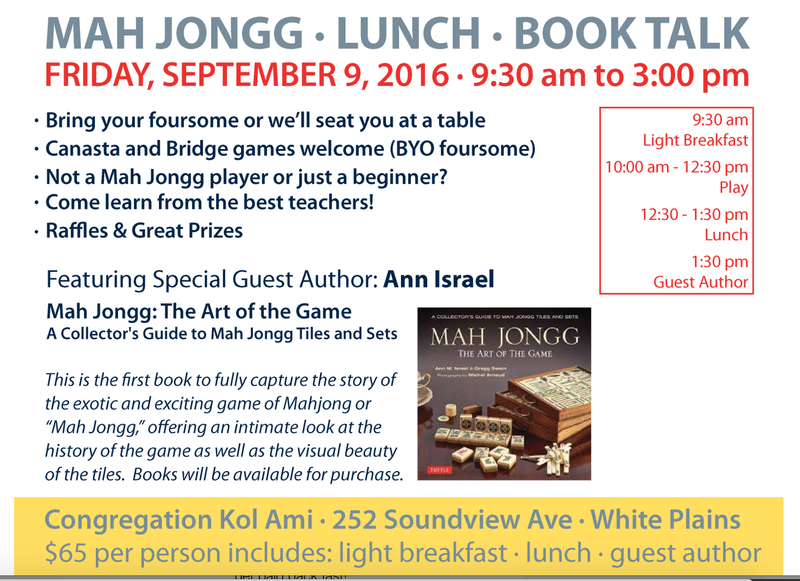 This entry was posted in Mah Jongg and Me and tagged Hadassah, mah jongg, Mah Jongg: The Art of the Game, mahjong, Westchester on July 7, 2016 by Mah Jongg and Me. STAY STRONG AND MAHJ ON TO DESTINATION MAH JONGG! You might remember back to last spring when I wrote about the three wonderful women who formed the breast cancer charity, Stay Strong and Mahj On (SSAMO). Fast forward to late summer when I learned all about the qualifying tournaments leading up to the Mah Jongg World Championship at the Westgate Las Vegas Resort & Casino, all brought about by Destination Mah Jongg. 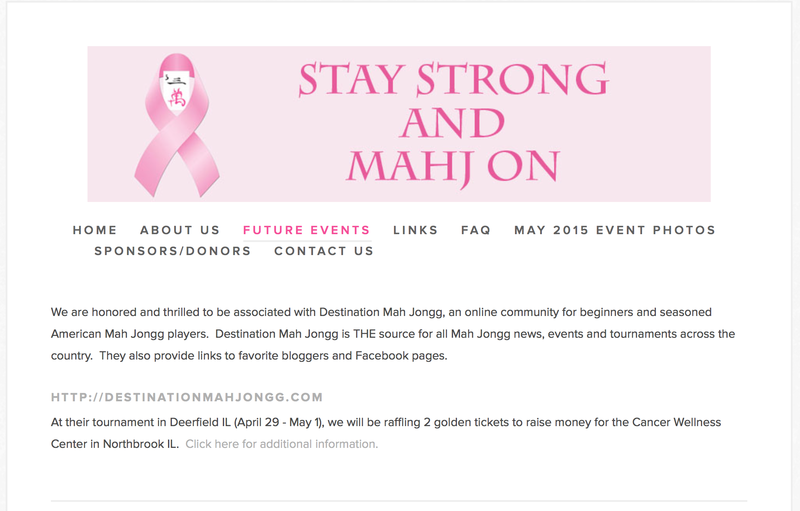 Well, much to my heart’s delight, the two organizations are talking with one another and it looks like we are going to see SSAMO raise awareness and funds for various breast cancer foundations at the Destination Mah Jongg tournaments. There is a big tournament coming up in Westchester, NY on December 5th and I do hope that all of you in the greater tri-state area will be able to attend. 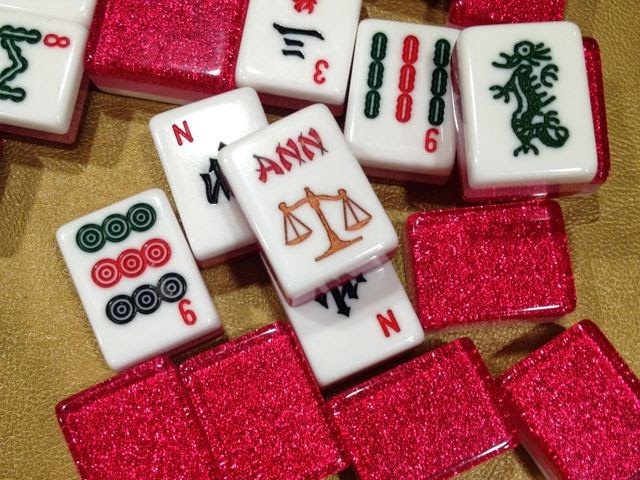 Alexis Miller from SSAMO will be there to tell you all about her wonderful organization and Fern and Sheryl from Destination Mah Jongg will be there to make sure you have the best Mah Jongg tournament ever! Here’s the information and I hope to see you on December 5th! This entry was posted in Mah Jongg and Me and tagged Destination Mah Jongg, mah jongg, Mah Jongg world Championship, mahjong, qualifying tournaments, Scarsdale, ssamo, Stay Strong and Mahj On, tournament, Westchester on October 30, 2015 by Mah Jongg and Me. This entry was posted in Mah Jongg and Me and tagged Destination Mah Jongg, mah jongg, Mah Jongg world Championship, mahjong, Scarsdale, ssamo, Stay Strong and Mahj On, Westchester, Westgate Las Vegas Resort & Casino on October 29, 2015 by Mah Jongg and Me. Yesterday I received a message from a Mah Jongg player who was kind enough to introduce me to her blog, The Mah Jongg Doctors. 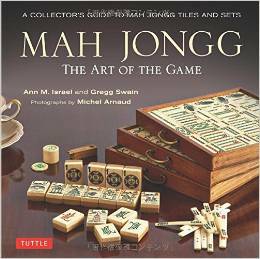 The Mah Jongg Doctors are two avid Mah Jongg players – Susan and Barbara – who live in Westchester County. 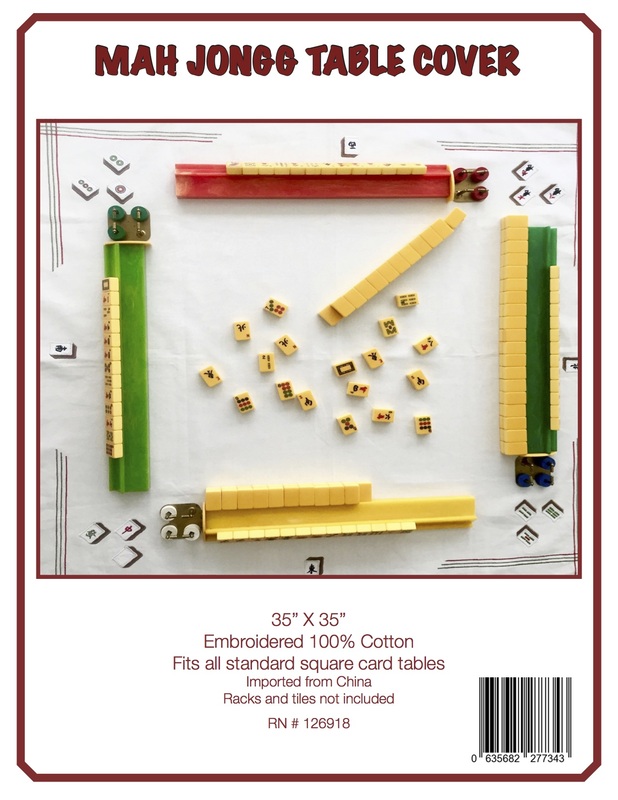 “We love the game and try to find ways to spread the love of Mah Jongg to others. 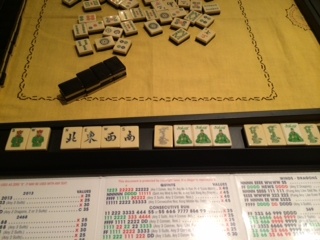 We play in tournaments as often as we can and are willing to travel for Mah Jongg. We took a transatlantic cruise this spring to Spain that included a Mah Jongg tournament! Their most recent posting is about all of the beautiful and varied sets they saw at a tournament in NJ. You can see many of these sets on their blog: http://www.mahjonggdrs.blogspot.com. Check out this great blog written by Susan and Barbara and enjoy it as much as I am enjoying it… as well as this picture from their blog – this set is calling my name!!! 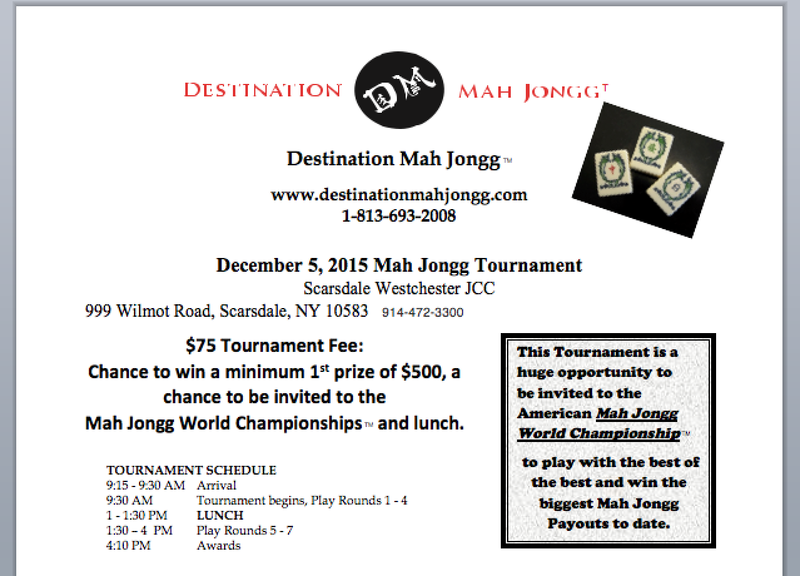 This entry was posted in Mah Jongg and Me and tagged blogspot, mah jongg, mah jongg doctors, New Jersey, tournaments, Westchester on June 20, 2014 by Mah Jongg and Me. This entry was posted in Mah Jongg and Me and tagged Arizona, Bay Area, Connecticut, Florida, hamptons, Kansas, mah jongg, Montauk, phoenix, Rye, San Francisco, Scarsdale, teachers, Westchester on March 22, 2014 by Mah Jongg and Me.